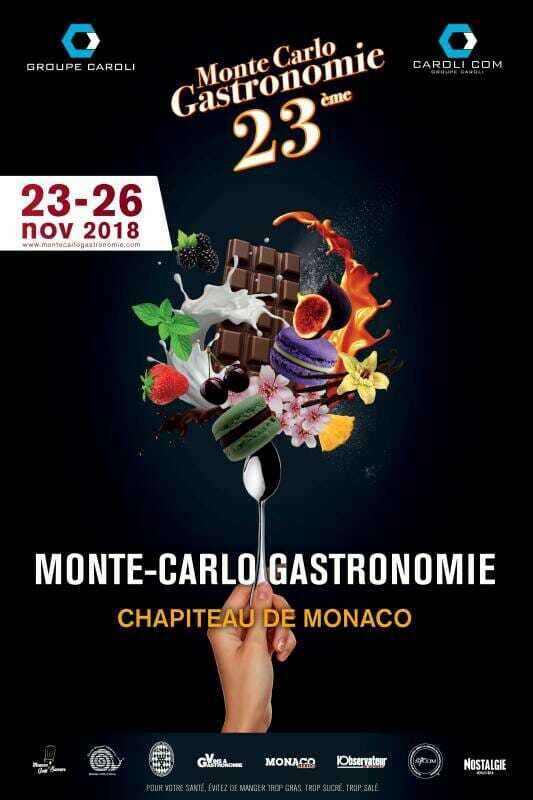 The 23rd edition of “Monte-Carlo Gastronomy“, organized by Caroli Com – Caroli Group, will open its doors from 23 to 26 November, at the Marquee of Monaco for tasty discoveries and an irresistible invitation to the pleasures of gluttony. This show of French and foreign gastronomy will offer gourmets, epicureans, curious and amateurs a return to authentic tastes and local produce. For many years, this attractive show has built its success not only on the quality of the products presented from a rigorous selection of exhibitors, but also on the diversity and importance of its animations. Many culinary demonstrations will be performed every day by the great chefs of Monaco and the Côte d’Azur, revealing to visitors the secret of their prestigious recipes. They will be broadcast live on the Facebook page of the show. As every year, several important associations will actively participate in the show: Monaco Taste and Flavors, Slow Food Monaco Riviera Côte d’Azur, the Association of Masters of Italian and French Hotels, the Monegasque Association of Sommeliers, the Association of Monegasque hotel industry, the National Academy of Cuisine of Nice. 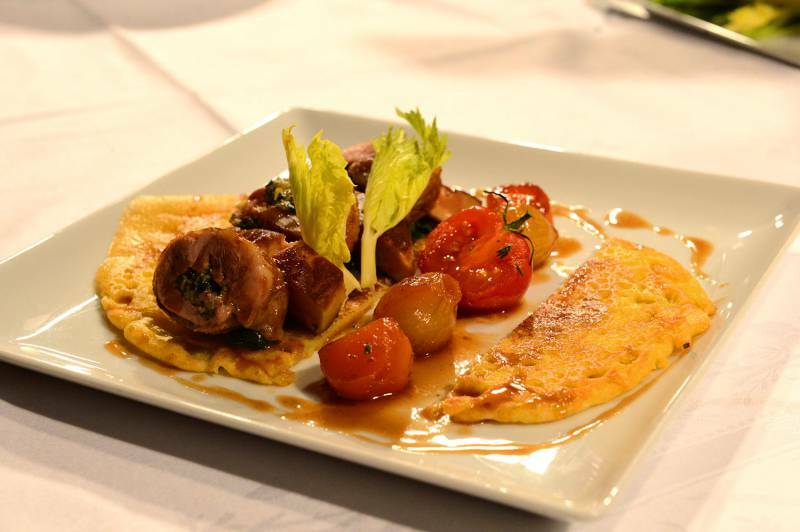 Monte-Carlo Gastronomy goes “green” and defends respect for the environment! Exhibitors will be forced to use only recyclable and non-plastic tableware. Creation of the 1st Maestro Chef competition, reserved for 8 amateur cooks. Organized with the Monaco Goût et Saveurs Association and led by a jury of Monegasque chefs, this contest will take place from Friday 23rd to Sunday 25th (final from 12h to 14h30) with the realization of a different recipe per day, unveiled the same day. Award ceremony of the “Observateur de Monaco” contest for the best addresses in Monaco. Since April, a competition has been launched by advertising campaign and e-mailing in Monaco. This is to vote every month for the best Monegasque address of pizzas, sushi, burgers, barbajuans, pan bagnats, cocktails … The awards will be given on the show Saturday, November 24 at 19:30. Under the Marquee of Monaco, a gourmet getaway awaits the discerning palates who can taste and buy foie gras, truffles, caviar, chocolates, sweets, cheeses, cured meats, organic products from the regions of France and Europe, exotic fruits, jams, champagnes, armagnac, wines, liqueurs from France, Italy and Europe from the producers’ fields. And to fill gourmet visitors, a draw will take place Monday, November 26 at 17h, allowing them to win lots of products exhibitors. Monte-Carlo Gastronomy, a veritable gastronomic ambush will once again be the essential appointment for authentic flavors just a few weeks before the end of the year celebrations.